"I don't call her Chocomilo because I don't drink her. It is impossible to find a woman like this woman. I want to thank God for this lady. Without her, I cannot be doing what I am doing today. This is the greatest gift apart from the holy spirit that God has given to me" he said . 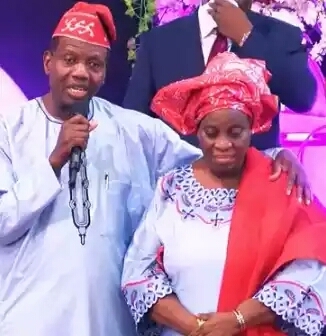 Redeemed Christian Church of God's general overseer world wide, Pastor E.A Adeboye made mention of that at a book launched in his honour which took place at the campground. 0 Comment to ""My wife is the greatest gift apart from holy spirit God has given to me"- Pastor Adeboye"